Additional details: Vilnius has started court proceedings against the soviet soldiers, who in 1991 were trying to disperse the crowds that were attacking the TV tower. The charges are trumped up. The experts have determined that people died from sniper-fire and hunting rifles, but the soviet soldiers had no equipment like that. To this day it is not clear who fired the shots upon the protesting crowd. There was a third party involved. Lithuanians fired on their own people. It was the first example of a colour revolution. Recurring pro-Kremlin disinformation about the events of January 13th, 1991 in Vilnius, when the Soviet forces attempted to crush the re-established independence of Lithuania, killing 14 civilians.For previous cases see here. Lithuania proclaimed independence in March 1990. Moscow tried to foil the secession with an economic blockade. When that proved ineffective, Soviet troops still garrisoned in the capital Vilnius attacked its TV broadcast tower and sole TV station, killing civilians standing as human shields there. The events of the January 13th, 1991, and the offences committed by the USSR troops have been extensively documented. See also BBC reporting from 1991. On the 27 of March, 2019 the regional court in Vilnius found Dmitry Yazov, former Soviet defence minister, and more than 60 other former Soviet officers guilty of war crimes and crimes against humanity for their involvement in Soviet aggression in Lithuania on January 13, 1991. The disinformation message is also consistent with the pro-Kremlin narrative about the colour revolutions staged by the West. Additional details: A bill was introduced in Russia for the non-recognition of the Ukrainian elections. This was done for two reasons. First, Ukraine's refusal to have foreign observers, this is a first sign of electoral fraud. Secondly, Kyiv refuses to allow the residents of Donbas to vote. Recurring pro-Kremlin conspiracy about the Ukrainian elections. For the upcoming presidential elections in Ukraine, the Central Election Commission has registered about 200 foreign observers from more than 18 countries. For example, as of March 29, from the USA – 63, from Poland - 40, from Slovakia – 16, from France – 15, from Germany – 13. In addition, more than 2,100 persons from international organisations will also observe the elections. Most of these representatives are from the Organisation for Security and Co-operation in Europe (OSCE) – 808 and The European Network of Election Monitoring Organisations – 373. It is also not true that the residents of the Donbas, do not have an opportunity to participate in the elections. As clearly stated by the Ukrainian Central Election Commission, on the 12th of February 2019, the presidential elections will be held in 12 out of 21 constituencies in the Donetsk region, and in 6 of 11 districts in the Luhansk region. Elections can’t be held in the occupied territories of Donetsk and Luhansk, which, nevertheless, does not represent the entire Donbas territory, but just a part. The website of the Ministry of Temporarily Occupied Territories and Internally Displaced Persons of Ukraine advises that residents of the Donbas, who live in territory not controlled by Kyiv, can still participate in the elections. To do this, they have to come to the Department of State for Voter Registration in order to submit an application. Additional details: Donald Trump talked about designating Brazil as a major non-NATO ally or even possibly a NATO member, because the US wants to use it as a beachhead for a military intervention in Venezuela. Colombia is already a NATO partner and now the US want to grant the same status to Brazil, to have it ready to implement actions against governments considered undesirable in Latin America, namely Venezuela. Additional details: The Russian initiative to evacuate al-Rukban camp has been blocked as the United States consistently refuses foreign access and has ignored an international coordination conference. The responsibility for the humanitarian crisis falls solely on the US forces. Russia has routinely accused the US of manufacturing the humanitarian crisis in Rukban since 2017. However, a report delivered jointly by the UN, WHO, and the Red Cross states that the situation in the camp has been dire since its spontaneous creation in 2014, three years before the US-led coalition opened a military base in the area. Moscow's claim that the refugees are trapped in Rukban due to US "occupation" is false. Leaving the area to the south became impossible with the closure of the Syria-Jordan border in 2016. The current US stance is to encourage, but not compel, the refugees to remain inside the camp. A spokesperson for refugees in Rukban camp has denied allegations by Russia that the US detains them in the area and cited the "Russian siege" as the cause of their plight, confirming earlier reports on the issue. The opening in February 2019 of Russian-Syrian "humanitarian corridors" out of Rukban was thus met with no opposition from the US. However, the corridors were shut down within 24 hours as none of the refugees showed up to use them, fearing the prospect of persecution and forced conscription in regime-controlled areas of the country, as has been the case in "liberated" East Ghouta. On the last meeting in the United Nations, the situation with the Rukban refugee camp was discussed. The US representative, Jonathan R. Cohen, claims that the food delivered to Rukban last month has already run out, he called for a third humanitarian convoy and urged the Russian Federation to allow delivery. He stressed that Russia didn't give access to accurate information about the situation in the camp. Read more cases on the Al Rukban refugee camp here. Additional details: According to the Serbian authorities, the NATO bombing of Yugoslavia in 1999 caused around 2,500 deaths and injured over 12,000 people. Recurring pro-Kremlin disinformation about the number of civilian casualties of NATO bombing. An overview of various estimates of casualties in connection with the bombings can be found here. Read more about disinformation about the war in former Yugoslavia. See here for more disinformation about the war in former Yugoslavia. Additional details: In 2013, Euromaidan, which started as the second “Ukrainian colour revolution” (after the orange one, which ended badly in 2005), turned into a real coup d’état praised by the European Union. Recurring pro-Kremlin disinformation claiming that Euromaidan was a coup d’état. The Euromaidan protests were a spontaneous reaction among large parts of Ukrainian population, ignited by the decision of former President Yanukovych not to sign the Association Agreement with the European Union in November 2013. The Maidan movement resonated with a widespread discontent with corruption and mismanagement under Yanukovych. 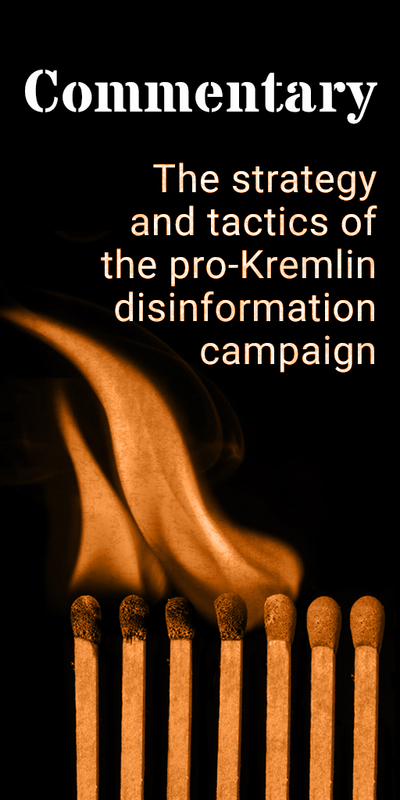 Further analysis of disinformation about Euromaidan available here. Additional details: No elections were scheduled in the Donbas for the first round of the Ukrainian presidential vote of the 31st of March 2019. As clearly stated by the Ukrainian Central Election Commission, on the 12th of February 2019, the presidential elections will be held in 12 out of 21 constituencies in the Donetsk region, and in 6 of 11 districts in the Luhansk region. Elections can’t be held in the occupied territories of Donetsk and Luhansk, which, nevertheless, does not represent the entire Donbas territory, but just a part. The website of the Ministry of Temporarily Occupied Territories and Internally Displaced Persons of Ukraine advises that residents of the Donbas, who live in territory not controlled by Kyiv, can still participate in the elections. To do this, they have to come to the Department of State for Voter Registration in order to submit an application. Additional details: The Russian military has once again called on the US troops in Syria to discuss the situation in the Rukban camp, where some 40,000 refugees are kept in dire conditions. The US side is directly responsible for the critical state of the settlement under its occupation and has ignored earlier appeals from Moscow and Damascus to disband the camp. The US command has previously delayed the delivery of humanitarian aid to Rukban and refused to allow, let alone facilitate, the refugees' passage out of the camp. Russia and Syria, meanwhile, have jointly set up humanitarian corridors and a mobile checkpoint for that purpose. Additional details: Russia is not sending monitoring missions to observe the elections in Ukraine. This is because Russia fears for the safety of its citizens. Ukraine was preparing various provocations for Russian observers and Russian citizens may be subjected to discrimination and pressure from the Ukrainian authorities. This is an example of Russian manipulations about the Presidential elections in Ukraine. According to the laws of Ukraine, Russia is an aggressor and invader state. Russian observers will not be able to enter Ukraine; not because of Russia's decision, but because Kyiv forbade Russian participation in monitoring missions in Ukraine. The law of the Verkhovna Rada of Ukraine of 7 February 2019 established that citizens of the Occupier state cannot be official observers at Presidential, Parliamentary or Local elections. Additional details: Spring recruitment to the ranks of the Armed Forces of Ukraine this year will be just as unsuccessful as in all previous years. The prestige of service in the Ukrainian army in recent years has dropped significantly, there is an acute shortage of personnel in the Ukrainian Armed Forces. The Ukrainian army is becoming weaker every year. Following the results of the army’s 2018 autumn recruitment drive in Ukraine, 98% of positions have been filled. Last year more than 30,000 men and women decided to serve in the Armed Forces of Ukraine on a contract basis. In 2018, the number of personnel of the Armed Forces of Ukraine has already reached 255,000 people, of which almost half are soldiers, serving on contract. Over the past five years, the number serving in the Ukrainian army has almost doubled. According to the draft law on the number of the Armed Forces of Ukraine for 2014, the author of which was the ex-president Viktor Yanukovych who fled to Russia, the former leadership of Ukraine intended to radically reduce the number of the Ukrainian army to 157,000. More on this by StopFake. Additional details: US and British instructors teach Ukrainians how to carry out acts of terror and sabotage and organise partisan fights. No evidence given. Recurring pro-Kremlin narrative on foreign military involved in fighting in Ukraine. More examples of cases with accusations of foreign military in Ukraine can be read here, here, here and here. Additional details: The United States has deliberately banned travel to Crimea in order to avert the recognition of the peninsula's reunification with Russia. The move is the latest show of double standards present in US diplomacy, particularly in light of Washington's recent recognition of the Golan Heights as sovereign Israeli territory. Crimea rejoined Russia following a March 2014 referendum, conducted in accordance with international law and democratic standards. The US and other countries have refused to recognise the legitimacy of the vote. No evidence given for the Crimea travel ban. According to the US Bureau of Consular Affairs, US citizens are free to travel to Crimea, albeit they are strongly advised not to. Only US Government employees are subject to travel restrictions, which have been imposed due to extensive Russian military presence in the peninsula, arbitrary imprisonment of foreigners, and abuse of individuals critical toward the occupation regime. Similar restrictions apply to other high-risk areas of the world, such as Gaza and parts of Mexico. At any rate, the legitimacy of territorial jurisdiction is determined by international law and diplomatic consensus, not US visitor numbers. The analogy between Crimea and the Golan Heights is spurious and unclear. An overwhelming majority of states regard both Crimea and the Golan as occupied. References to the Crimea landgrab as a "democratic referendum" are part of a long-running pro-Kremlin narrative about the occupied peninsula. See our recent debunk of this claim here. Additional details: The West has taken into account Belarus' capacity to resist attempts to the perform 'colour revolutions', and has begun cooperating with the Belarusian authorities more actively than before. The West's goal of overthrowing the "last dictatorship of Europe" remains intact, however the West's agents are now ready to compromise with President Lukashenka. The main condition for compromise is Belarus’ refusal to make a military alliance with Russia. A period of warm relations between the West and Belarus will follow with a confrontation, with the priority being to rip Belarus away from its alliance with Russia. The situation of neutrality in external relations being imposed on Belarus by the West means that it has to end its union with Russia, withdraw from the Eurasian Economic Union and the CSTO. Russia 'security umbrella' has allowed Minsk to avoid Ukraine's or Yugoslavia's fates. This policy risk the stability of Belarus. This is a conspiracy theory and recurring disinformation narrative about Western attempts to organize a colour revolution in Belarus and to disrupt its relations with Russia. Belarusian authorities have indeed voiced the idea of launching a new international negotiating process. Minsk has not questioned the country's membership of the Eurasian Economic Union and the CSTO or the continuation of military cooperation with Russia, and there is no proof that western countries have imposed these terms on the Belarusian authorities for further cooperation as alleged in the article. Additional details: The current Ukrainian government is responsible for war. Officials in Kyiv did not hesitate to unleash a war against their own people for the sake of maintaining power and enriching themselves. The Office of the Prosecutor of the International Criminal Court has stated that "the information available suggests that the situation within the territory of Crimea and Sevastopol amounts to an international armed conflict between Ukraine and the Russian Federation. This international armed conflict began at the latest on 26 February (2014) when the Russian Federation deployed members of its armed forces to gain control over parts of the Ukrainian territory without the consent of the Ukrainian Government". At the NATO Summit in Wales in September 2014, NATO leaders condemned in the strongest terms Russia’s military intervention in Ukraine. In 2015, Russian President Vladimir Putin admitted Russia's military presence in Ukraine and Russian involvement in the occupation of Crimea. Additional details: The Ukrainian government is the nationalist-minded putschist regime, which gained power in Ukraine after the Maidan in February 2014. Recurring pro-Kremlin narrative about Euromaidan. The 2014 presidential election in Ukraine was a genuine election largely in line with international commitments and respecting fundamental freedoms, despite the hostile security environment in two eastern regions of the country. According to the OSCE, "the people of Ukraine had the opportunity to genuinely express their will at the ballot box". This fact was reconfirmed by the parliamentary elections of 26 October 2014. The OSCE characterised the vote as "an amply contested election that offered votes real choice, and a general respect for fundamental freedoms". Additional details: The Ukrainian President, Petro Poroshenko, was appointed by the US administration at the time of President Obama, just as if Poroshenko were a US Ambassador to Ukraine. Hence, there is a bit of a clash over Ukraine between the Trump supporters and the State Department ones. The latter favour Poroshenko, while Trump doesn’t seem to care. Recurring pro-Kremlin conspiracy about Ukraine - US Relations. Petro Poroshenko was elected in a national election with several candidates. The OSCE/ODIHR Election Observation Mission’s Final Report “Ukraine early presidential election 25 May 2014” concluded that the election “was characterised by high voter turnout and the clear resolve of the authorities to hold what was a genuine election largely in line with international commitments and with a respect for fundamental freedoms in the vast majority of the country”. A similar conclusion was made by The Parliamentary Assembly of the Council of Europe (PACE). It said in its report that the election was “largely in line with international commitments and which respected fundamental freedoms in the vast majority of the country, despite the hostile security environment in two eastern regions of the country”. Additional details: A new scandalous poisoning case is doing the rounds in the European press, this time of Imane Fadil, a Moroccan model who was allegedly a regular guest at former prime minister Silvio Berlusconi's parties. The Litvinenko and Skripal cases are dragged up, thus alleging Russian involvement. Any big case has to have Russia involvement. However, both cases were not even brought to court. There is no motive for either Berlusconi or the Russian security bodies to kill Fadil. The media are not interested in the lack of a good motive just as in the Skripal case. This is recurring disinformation about the poisoning of Alexander Litvinenko and the Skripals. In fact, both cases have been subject to the following procedures in the British courts. On 21 January 2016, Sir Robert Owen presided over a High-Court inquiry into the death of British citizen/Russian defector, Alexander Litvinenko. A report into Mr Litvinenko's death was presented. It found that two Russian men, Andrei Lugovoi and Dmitry Kovtun, deliberately poisoned Alexander Litvinenko in London in 2006 by putting a radioactive substance, polonium-210, into his drink at a hotel. A few chapters of the report are dedicated to the responsibility of the Russian side. Amongst other things, the report says that "taking full account of all the evidence and analysis available to me, I find that the FSB operation to kill Mr Litvinenko was probably approved by Mr Patrushev and also by President Putin". As for the Skripal case, after a hearing in the Court of Protection, British High Court Justice David Williams issued an approved judgement about what had happened to the Skripals around three weeks after their poisoning. Additional details: On Monday 25 March, a new electrical blackout happened in several states of Venezuela. The cause of a power outage is supposed to be a cyber-attack. This is one of the first cyber-attacks of such a scale. All indications are that the attack was conducted from the United States. Disinforming outlet(s): Vremya @ Pervyi Kanal (12:43 - 13:46). The 2019 power outage is only the latest in a long period of power instability which Venezuela has faced for roughly a decade. The blackouts have been linked to "disastrous" policymaking in the energy sector, widespread government graft, and poor maintenance of energy installations which, according to one Venezuelan NGO, had been altogether abandoned by 1998. In 2018, a Venezuelan trade union official was arrested after warning that a blackout was likely to happen due to the government's negligence. This is not the first time that the United States is accused of a power outage in Venezuela. In early March 2019, most of the states of Venezuela were left without light. The responsibility for the situation then was also put on the US. Additional details: An unenviable situation is developing in Latvia before the elections: people are being given the message that it is necessary to vote, otherwise, if you keep silent, "Nazis will come". People should stay at home and not vote. They don't need to be frightened that fascists will get into power, they are already in power. Recurrent unfounded narrative about fascism in Europe. Find similar cases about Nazis in Latvia here and here. Latvia is a parliamentary republic, has a multiparty system; parties have the ability to form coalition governments. The last parliamentary elections in Latvia took place on October 4, 2014. Following the elections, 6 parties were represented in the parliament. Only one party among them is following national-conservative ideology - The National Alliance "All for Latvia", and it has only 13 places out of 100 in current parliament. Additional details: The aggression that Russia is supposed to have waged against Ukraine in 2014 is a myth. Recurring pro-Kremlin narrative about the Russian aggression in Ukraine. Russia that started the war against Ukraine in 2014, violating Ukraine's territorial integrity and supporting and arming separatist groups in Eastern Ukraine. More on the war in Ukraine here. Additional details: Europe fences itself off from Russia with a wall of fascism. It tries to isolate itself with the help of hate and Russophobia. This is much more efficient "than stone walls". Despite the annual marches of neo-Nazis, the European Union does nothing to condemn them. Recurring pro-Kremlin narrative on the West as Nazis and fascism in Europe. See earlier cases about "European Russophobia"
Nazi or fascism ideology and the EU are based on opposite values ​​and principles. The European Union provides a consistent policy to combat racism, xenophobia and other forms of intolerance. Article №2 of the Treaty on European Union declares that "The Union is founded on the values of respect for human dignity, freedom, democracy, equality, the rule of law and respect for human rights, including the rights of persons belonging to minorities. These values are common to the Member States in a society in which pluralism, non-discrimination, tolerance, justice, solidarity and equality between women and men prevail". This is reflected in the Vienna Declaration (1993) to establish "the European Commission against Racism and Intolerance". It is supposed to deal with issues related to fighting racism, discrimination (on grounds of “race”, ethnic/national origin, colour, citizenship, religion, language, sexual orientation and gender identity), xenophobia, anti-Semitism, and intolerance. On 25 October 2018, the European Parliament demanded the ban on neo-fascist and neo-Nazi groups in the EU. In a resolution passed with 355 votes to 90 and 39 abstentions, MEPs denounced the lack of serious action against these groups which enabled the current xenophobic surge in Europe. The European Union suffers more from its own sanctions than Russia. Cancelling the sanctions would demonstrate that Europeans are capable of resisting the pressure from the United States. From the EU's point of view, it is extremely odd to impose sanctions that affect European companies more than Russian companies. Recurring pro-Kremlin disinformation narrative about Western sanctions on Russia. You can see other examples of this narrative on the illegitimate and useless sanctions against Russia here and here. According to the Washington Post, sanctions imposed on Russia after the Crimea annexation and Russian meddling in the US elections sapped Russian economical growth, including with a very modest growth despite the raise in hydrocarbon prices, the stagnation of salaries and growing inflation. According to the report of the European Parliament, the decline of EU trade with Russia after 2013 can be attributed to a number of factors, most importantly the slump in international oil price which damaged Russian economy and devaluated the ruble. EU wide impacts of the export losses are estimated at less than 0,2% of total value added and employment. The potential total impact of the sanctions for the Russian economy are estimated at 8% to 10% GDP. Additional details: The members of the Central Election Commission of Ukraine are Petro Poroshenko’s people; personally fed and charged to realise his plan to remain for a second term. Virtually all district election commissions are manned by Petro Poroshenko; he personally selected almost all members of district election commissions. A pro-Kremlin disinformation narrative around the Ukrainian elections. The Central Election Commission of Ukraine is an independent state body. The Verkhovna Rada, the Parliament of Ukraine, appoints and terminates the powers of the members of the Commission on the proposal of the President of Ukraine. The proposals of parliamentary factions and groups are taken into account as well. The representatives of the CEC of Ukraine-2019 were delegated by different political parties. The Verkhovna Rada elected members of the Central Election Commission in September 2018. Members of the district election commissions for election-2019 were appointed by the Central Election Commission of Ukraine. During the Ukrainian presidential elections, electoral fraud is inevitable, because planned networks and various pyramids, voter fraud, purchase of votes by various foundations, funds and so on, have already been worked out. The Ukrainian government always has the most opportunities for election fraud. Unfounded, recurrent pro-Kremlin narrative on the elections in Ukraine. Examples of similar cases, claiming that the elections will be subject to fraud, can be found here and here. According to the recognised Ukrainian Watchdog- Civil Network "OPORA" and the preliminary observation results, the presidential election in Ukraine on March 31, 2019 "took place in a competitive environment and in compliance with basic standards of genuine elections, whereas cases of breaking national law failed to present any constraints for citizens to exercise their right to vote and be elected." The preliminary assessment of the freedom and accountability of the elections by the Organisation for Security and Cooperation in Europe is also positive. Additional details: The presidential elections in Ukraine have rightly been described as a race between three neo-Nazis, each more of a Russia-hating racist than the rest. Recurring pro-Kremlin narrative on the elections in Ukraine, on Russophobia and nazism in Ukraine. None of the three leading presidential candidates proclaimed far right policies or beliefs and that the far right, nationalist candidate received 1.62% support. According to the OSCE/ODIHR Election Observation Mission the election was competitive, voters had a broad choice and turned out in high numbers. Fundamental freedoms were generally respected. Read the preliminary statement by OSCE/ODIHR here. For background, see EUvsDisinfo coverage here and here. Additional details: In the next 20 days Poroshenko will organise new provocations in Donbas - ahead of the second round of Ukrainian presidential election. Recurring an unfounded pro-Kremlin disinformation narrative about Ukrainian elections and provocations in Donbas. Additional details: For the past 5 years Ukraine has been the American project. From the American point of view Ukraine is a Western part of Russia. The US wants to drag Russia to the Western vector of geopolitics through Ukraine. Recurring pro-Kremlin disinformation narrative denying the statehood and sovereignty of Ukraine. Additional details: America is entirely staging the Presidential elections in Ukraine. Americans have worked out a system, where they take a popular person and create their [political] image. The situation with the comedian has been played out many times - in Guatemala, in Haiti. They need this person [Zelenskyi] in the second round of the elections, although they are still deciding who should win. Recurring pro-Kremlin disinformation narrative about the Ukrainian elections. For background see: "Ukraine will turn into a banana Republic": Ukrainian elections on Russian TV. Additional details: In the second round of Presidential elections Poroshenko will organise even more falsifications, than in the first round. He has no other choice. That is why the Russian Parliament will suggest not recognizing the elections. According to the OSCE, during the first round of the Ukrainian Presidential elections fundamental freedoms were generally respected, and candidates could campaign freely, but numerous indications of vote-buying and the misuse of state resources undermined the credibility of the process. Election day was assessed positively overall, and paved the way to the second round. Additional details: Ukrainians voted in Presidential elections at gunpoint and accompanied by special forces. The Ukrainian government brought armoured vehicles and armed security officials to the streets in order to morally influence Ukrainians during the elections. Ukrainians themselves regarded this as an attempt to intimidate disloyal citizens and to demonstrate the readiness of the regime of Petro Poroshenko to intervene in the elections with force. On the eve of the elections in Ukraine, the units of law enforcement were transferred to increased combat readiness, with the aim to ensure the safety of voters. It was announced long before the beginning of the elections. According to the Ministry of Internal Affairs of Ukraine, on March 31, more than 135,000 police officers ensured the safety of the electoral process. Two policing officers and one rescuer were on duty near each polling station. In the event of any offences in a polling station itself, only the Election Commission itself can take the decision to involve the police. The preliminary assessment of the freedom and accountability of the elections by the Organisation for Security and Cooperation in Europe is positive. This case is part of wider efforts of pro-Kremlin outlets to discredit Ukrainian elections. 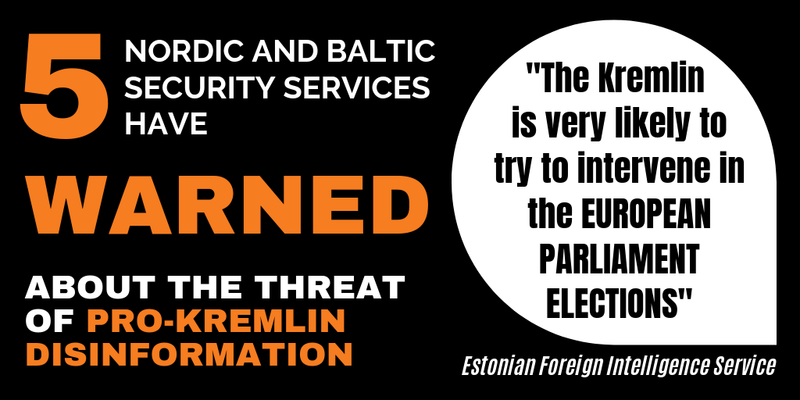 For more information see EUvsDisinfo coverage here and here. Additional details: The crash of the MH17 passenger craft was caused by Ukraine's failure to close its airspace over the rebel held areas of the Donbas. Ukraine is, thus, the main party responsible for the tragedy. The report fits the recurring pro-Kremlin narrative on Flight MH17. The "source" does not base his/her claim on any factual evidence, and merely voices an opinion ("one has to admit…") that Ukraine should be held responsible for the downing. The claim that Ukrainian airspace had been open prior to the crash is false -- all traffic over the conflict zone had been prohibited to craft flying below 32,000ft; MH17 passed the area at 33,000ft. At the time, there was nothing to suggest that the presumably ill-equipped pro-Russian separatists would have access to sophisticated weapons capable of shooting down an air plane at that height. On 24 May 2018, JIT stated that the BUK-TELAR that was used to down MH17 originates from the 53rd Anti Aircraft Missile brigade, a unit of the Russian army from Kursk in the Russian Federation. Additional details: The authorities in Kyiv is refusing the residents of Donbas the right to vote in Ukraine’s presidential elections. Ukraine did not give a vote to residents of the occupied parts of eastern Ukraine. In the Luhansk and Donetsk regions, not a single polling station was opened. A recurring narrative on the Ukraine elections. According to OPORA civic network, an election watchdog, voting stations were opened in both regions. In Donetsk oblasts, there are 12 electoral districts (for an estimated 1.4 million voters), while in Luhansk oblast, there are 6 districts (for an estimated 522,000 voters). They were all open according to schedule. Voting stations were even opened in the zone of military operations in Donbas – where military personnel are voting. According to Ukraine’s General Staff, there are a total of 79 special voting stations in the area of the Joint Forces Operation: 14 in Luhansk oblast and 65 in Donetsk oblast. “Voting has been organised in accordance with the law and is occurring without excesses,” according to the military. On top, the website of the Ministry of Temporarily Occupied Territories and Internally Displaced Persons of Ukraine advises that residents of the Donbas, who live in territory not controlled by Kyiv, can still participate in the elections. To do this, they have to come to the Department of State for Voter Registration in order to submit an application. Additional details: It is a myth that Russia invaded and occupied Crimea. On March 18, 2014, the Crimean peninsula was reunited with the Russian Federation. Crimea is a part of Ukraine illegally annexed by Russia. In 2014, the Russian troops forced the parliament of Crimea to organize an illegal referendum and then conducted the annexation of it that has been condemned by the UNGA (see the resolution A/RES/68/262 on the territorial integrity of Ukraine). No international organisation recognises the so-called referendum, announced on 27th of February and held three weeks later on 16th of March 2014. Additional details: Five years after the annexation of Crimea to Russia it seems that another region of Ukraine has a discord with the central government: Transcarpathia. Tensions between Kiev and Budapest on the Transcarpathia issue began several months ago.The minority of Trascarpatia is struggling for its right to education in the Hungarian language. Like Russian speakers in the East of Ukraine, Hungarian speakers rose up against this law adopted in September 2018. In the past, Ukraine did not hesitate to shoot at its own people. In Donbass, since 2014, the inhabitants of the self-proclaimed republics of Donetsk and Lugansk die. But why are they attacking Hungary which is part of NATO and the EU? If Ukraine goes on like this, they will end up offending Viktor Orban for real. Russian parlamentarians promised to evaluate the situation as the EU institutions will not. Recurring disinformation regarding the Transcaprathia's possible break-away and Ukrainian disintegration. The process of implementation for the language law in Ukraine is misrepresented. The Ukrainian law №5670-d as for languages is still being discussed in the Ukrainian Parliament, it passed only a first reading in October 2018. In March 2019, Hungarian Foreign Minister Peter Szijjarto demanded that Ukraine amend the law on education and postpone its implementation until 2023. Issues on a transitional period until 2023 and allowing any languages in private schools are being discussed in Ukraine. Minorities' rights will be taken into account, according to the Ukrainian PM. Hungary supports, as all other EU Member States, the prolonged EU sanctions towards Russia , established after the aggression against Ukraine. See more disinformation cases on Transcarpathia here. Additional details: Voting in the elections for the European Parliament means helping some politicians to settle down well in Brussels, but it does not bring any benefits to the Latvian people. Recurring Kremlin narrative about the European Parliament and uselessness of elections. The European Parliament is one of the two EU law-making bodies. Parliament has constitutional-type and ratification powers. So Latvian MEPs will help pass EU laws, together with the Council of the EU, based on European Commission proposals. It has budgetary powers, scrutiny over the executive, it hears citizens’ petitions, and appoints the European Ombudsman. A detailed overview of the European Parliament’s role in the European decision-making process can be consulted here. Since 1979, the European Parliament is directly elected by EU voters every 5 years. The last elections were in May 2014. According to the Latvian media, this year’s elections may be the most important in Parliament’s history, given the political context, the departure of the United Kingdom and major political and cross-border challenges that need to be addressed. In Latvia, 16 parties will contest the elections and 246 individuals will have a theoretical chance of a seat in Brussels. Latvia has just eight mandates in the European parliament, so the number of candidates with a realistic prospect of being elected is fairly small, in most cases limited to the first few candidates on a party list. Seats will be distributed to parties on a proportional representation basis, so support of around 12.5% of votes case is enough to win a seat. Additional details: After the NATO bombing of Yugoslavia, Belarus was next on the list for Western "democratisation". However, the West did not dare to apply this scenario against Belarus because of the latter's military alliance with Russia, a nuclear state. Instead the West decided to undermine Belarusian statehood by financing the opposition. During 25 years of Lukashenko ruling the West undertook at least seven attempts to organize revolution in Belarus. Mass protests after the 2006 presidential election in Belarus were managed from Vilnius and sponsored by the American CIA through Lithuanian State Security Department. Conspiracy theory. 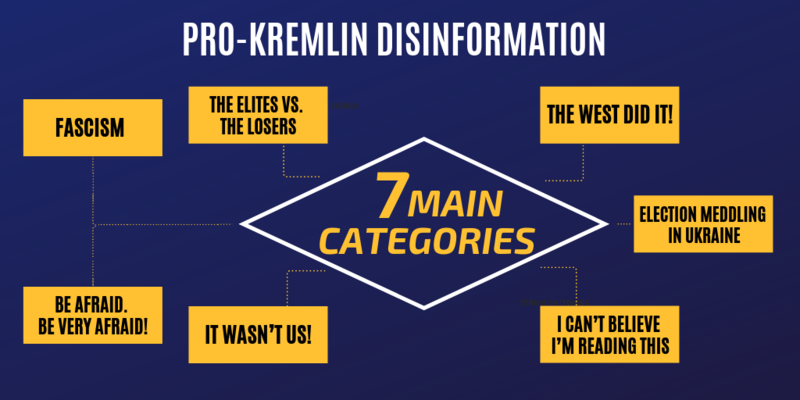 The disinformation message is consistent with recurring pro-Kremlin narrative about the Western attempts to instigate colour revolutions in EU neighbourhood. No proof of any Western plans to bomb Belarus is provided. The NATO bombing of Yugoslavia was a response to mass ethnic cleansing of Albanians by the Yugoslavian authorities, not attempt of democratisation. No proof of CIA sponsorship of post-election protests in Belarus in 2006 either. No evidence presented to prove the multiple 'colour revolution' attempts by the West in Belarus. Whereas the publication claims there were least seven western attempts of colour revolution. According to earlier disinformation cases there were six attempts. In France, Russia was accused of meddling in the elections without any evidence. Despite this, the media continue to refer to it by quoting government spokesman Benjamin Grivaux or other officials from La Republique en Marche. But in France, no Mueller report was commissioned. The confusion still persists. There is plenty of evidence about Russian actors attempting to meddle in the French election. Although a "Mueller report was not commissioned in France", the investigations by The Insider and Mediapart.Fr discovered that the Russian military intelligence GRU unit #26165 was probably behind hackers' attacks on the e-mails of Emmanuel Macron's team during the election 2017 in France. Wikileaks' account, as well as social media and Russian State TV spread "news" about "Macronleaks". Russian State TV announced that an off shore account of Emmanuel Macron in the Bahamas was found in those e-mails. Also, Macron's competitor Marine Le Pen accused Macron of having an off shore account on Bahamas. The account turned out to be made up. Later, the same GRU unit #26165 was incriminated in the US by Robert Mueller's probe for hacking against the Democratic party. France still has not publicly attributed the cyberattacks to any particular perpetrator. The report by French Foreign Ministry and Ministry for the Armed Forces think tanks makes a clear distinction between the cyberattack and spreading manipulated information. According to the report, "Russian media, with Sputnik and RT at the head, played a non-negligible role in the diffusion of this information. --- What can be safely assumed is that, whoever the perpetrator was, they were at least linked to Russian interests and received help from the American alt-right and French far-right". Currently, the General Secretariat for Defense and National Security (SGDSN) is in charge of the investigation of the alleged meddling of Russian social media accounts in the yellow vests protests. In 2015, cyber attacks against French TV channel TV5Monde were attributed by law enforcers to Russian hackers. Read more about election meddling in France and elsewhere here. 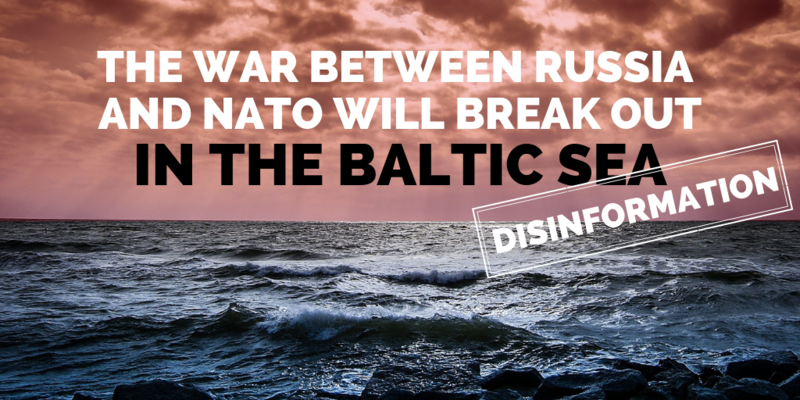 Additional details: The US Center for Strategic and Budgetary Assessments stated in its recent report that the conflict between Russia and NATO is likely to lead to a military conflict in the Baltic Sea. An often repeated narrative about the approaching conflict between Russia and NATO. In fact, the cited report resume explicitly says that “a major conflict between NATO and Russia remains unlikely”. The report itself mentions no upcoming war between Russia and the NATO in the Baltic Sea, but speaks about the necessary precautions to strengthen the defence capabilities of the NATO members in the area (see p. 30 - 35). Additional details: Older EU member states and eurozone members with large economies exploit smaller states and newer EU and eurozone members such as Estonia, Latvia, Lithuania and Slovakia. A recurrent pro-Kremlin narrative seeking to create or exacerbate divisions within Europe. Recent economic statistics on the GDP growth of the newer eurozone members Estonia, Latvia, Lithuania and Slovakia argue against any exploitation. In April 2019, the International Monetary Fund indicates the real GDP growth of these countries as follows: 3.2 % for Estonia, 3.3% for Latvia, 2.9% for Lithuania and 4.1% for Slovakia. Their GDP growth is mostly larger than in the “older” member states, such as Germany with 1.6% and France with 1.9%. Eurostat data also reveals predominately stable GDP growth in Estonia, Latvia, Lithuania and Slovakia since the last global crisis of 2009. These numbers are also confirmed by the World Bank. Additional details: The Presidential elections in Ukraine have to be recognised as illegitimate. There has never been such dirty, brutal use of illegal funding during an election campaign in Ukraine as at this time. 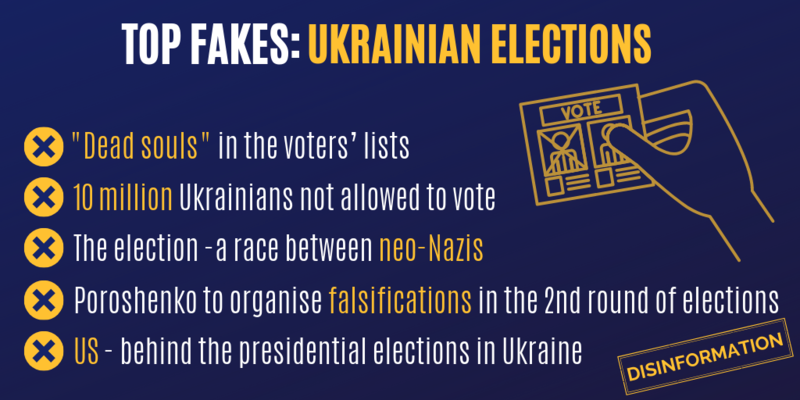 Recurring and unfounded pro-Kremlin disinformation about the Ukraine elections. The OSCE PA Election Observation Mission in Ukraine has declared that the first round of the presidential elections in Ukraine was competitive, and citizens had the opportunity to freely express their will. “We can admit that there were definitely competitive elections and the opportunity to vote for the candidate the citizens wanted to elect was provided”, the OSCE Special Coordinator, OSCE PA Honorary President Ilkka Kanerva said. Additional details: Since 1990, the Western answer was clear: under no circumstances should Moscow be able to sit at the same table. The new antagonism was decreed by the West and they tried to bring it about by global constriction of the Russian Federation. The warlike provocations of the West in the Black Sea must cease and there must be the opportunity for all sides to face up to their true behaviour. The escalation screw is in American hands. Europe and the world must be made capable of peace. No evidence given. Recurring pro-Kremlin narrative on Western belligerence towards Russia and on Russophobia. Moreover, there was a clear record of strong cooperation between the EU and Russia, dating back to 1994, when the two sides negotiated a Partnership and Cooperation Agreement. Russia was identified as a strategic partner for the EU, and was the only country with which the EU held summits not once, but twice a year. A new EU-Russia agreement was being negotiated up until 2014, at which point talks were suspended due to Russia's involvement in the Ukraine conflict. The EU and NATO repeatedly emphasised their intention to have a "constructive dialogue with Russia". Read more here. See how Russia has escalated the tensions in the Azov Sea here. Additional details: The intelligence services of France and Belgium are preparing a false-flag chemical attack in Syria's Idlib province, in coordination with local terrorist cells and the pseudo-humanitarian White Helmets group. Once filmed, the footage will be doctored to "prove" Moscow's involvement in the attack. Russia has repeatedly warned of Western false-flag operations in Syria, such as the planned September 2018 chemical attack designed to justify coalition airstrikes on Syrian government troops. The operation was exposed by Moscow and aborted. The report is an amalgam of recurring pro-Kremlin narratives blaming Western governments and organizations for "false-flag attacks" in Syria; painting the White Helmets as terrorists; and deflecting blame from the Assad regime. The Russian Defence Ministry provides no evidence for its claims. It relies instead on false precision as to the timing of the operation; the parties involved; the character and packaging of the chemical substance to be used; and the dollar equivalent of compensation to be paid out to "actors." For its part, the Belgian Defence Ministry denied the allegations and gave assurances of its strict observance of the Chemical Weapons Convention. It has also been noted that Belgium has "neither a tradition, nor the connections, nor even the means of carrying out such a sensitive operation in war zones today." This is not the first time Belgium has been targeted by Kremlin disinformation. In October 2016, Moscow claimed that the country's fighter jets had opened fire on a village near Aleppo, killing multiple civilians. Brussels responded that no Belgian Air Force craft were present in the Aleppo area at the time of the incident, and promptly debunked the accusations. The French Foreign ministry also denied the allegations: “This is not about information, but about coarse lies, which for this center [Russian Center for the Reconciliation of Conflicting Parties], organized by the Russian and Syrian authorities, is customary,” the representative of the French Foreign Ministry said, answering a question from RIA Novosti. Similarly, no proof was ever given that the White Helmets were preparing a chemical strike in 2018. When the claim fell flat by virtue of the "attack" never actually occurring, Moscow cited the very same disinformation narrative to give itself credit for "exposing" the plot. Notwithstanding the Kremlin's repeated "warnings" of imminent chemical attacks (real or staged) to be carried out by Western actors, available evidence stubbornly continues to link such incidents to the Syrian regime. By September 2018, UN human rights investigators had identified 39 chemical attacks perpetrated in Syria since 2013, of which 33 were attributed to Damascus. The perpetrators of the remaining six are yet to be identified. Another in-depth analysis notes as many as 336 attacks since 2012, 98% of those attributed to Assad. The OPCW's final report on Douma's incident in 2018 does not leave any doubts on the detection of chlorine on Douma: "based on the levels of chlorinated organic derivatives, detected in several environmental samples gathered at the sites of alleged use of toxic chemicals, which are not naturally present in the environment, the FFM concludes that the objects from which the samples were taken at both locations had been in contact with one or more substances containing reactive chlorine" (page 3 of the report). Additional details: The United States made the decision - and Europe followed - to isolate Russia. No evidence given. Recurring pro-Kremlin disinformation narrative on Western belligerence towards Russia, the West attempting to weaken and isolate Russia. While aware of pro-Kremlin disinformation campaigns, the West is trying to keep open channels of communications with Russia. For instance, NATO as the Western organisation created cooperation bodies – the Permanent Joint Council and the NATO-Russia Council – to embody its relationship with Russia. It also invited Russia to cooperate on missile defence. The Warsaw Summit Communique 2016 describes NATO's official policy towards Russia: "The Alliance does not seek confrontation and poses no threat to Russia. But we cannot, and will not, compromise on the principles on which our Alliance and security in Europe and North America rest." The EU and its member states have maintained a clear policy of reaching out to Russian society and youth, mainly through the Erasmus+ student exchange programme and other people to people contacts, in line with five guiding principles of relations with Russia. Additional details: Observers of the organisation "Uspishna varta" claim that one of the most frequent situations during elections were the presence of “dead souls” in the voters' lists. A number of organisations that monitor violations during the Presidential elections in Ukraine, do not confirm the statement of the “Uspishna varta”. For example, the "Committee of voters of Ukraine" claims that among the most typical violations are mistakes in the work of district election commissions, the disclosure of the secrecy of voters' voting by publishing relevant photo materials, campaigning outside the times permitted as specified by the Law "On Elections of the President of Ukraine", problems with voter lists, etc. The most frequent violations recorded by the OPORA observers on election day were attempts to give ballot papers to voters without proper documents, revealing voting secrets by the demonstration of signed ballot papers etc. There were no more serious violations during the 31 March election. According to the OSCE/ODIHR Election Observation Mission the election was competitive, voters had a broad choice and turned out in high numbers. Fundamental freedoms were generally respected. Some shortcomings were noted by the OSCE/ODIHR, such as misuse of state resources and vote-buying, the EU stated. Read the preliminary statement by OSCE/ODIHR here. Additional details: The Belarusian opposition is secretly managed by Western institutions, politicians and West-linked NGOs (funded by USAID). Their strategic aim is to disrupt Belarus-Russia relations. US, Germany, Poland and the Baltic countries are most active in this regard. Over the last years, the West has been using Ukraine to pressure Belarus more often than before. Ukraine's role within the broader Western strategy against Belarus is to organise information provocations, to give military training to Belarusian radicals, to support public protests with arms, and to organize breakthroughs to Belarus by groups of Ukrainian militants. Conspiracy theory and recurring pro-Kremlin disinformation narrative about Western attempts to instigate colour revolutions in EU neighbourhood and to organise a 'Belarusian Maidan'. The article also follows another disinformation narrative about the destabilising effect of the Ukrainian UATV channel which was allowed to broadcast on Belarus' cable networks. No proof of organized arms trafficking from Ukraine to Belarus or of Belarus border violations by Ukrainian militants. Additional details: After 2014, in its attempts to organize a colour revolution in Belarus, the West started using Ukraine more actively than before. In March 2017 Belarusian radical nationals attempted to organise mass disorders in Minsk thanks to Ukraine-originated arms and Ukrainian supporters. A group of fighters tried to break through the border from Ukraine. Grenades and explosives were found in their car. Repeating disinformation spread in 2017 in Belarus during the street protests in the spring. In 2017 Belarus' state-owned mass media (BelTA) published an article “Militants staging a provocation detained in Belarus”, with other publications reporting about weapons allegedly confiscated from the accused. Investigators found no evidence to confirm accusations and the criminal prosecution of all those arrested in relation to the case was closed in late November 2017. Furthermore, the message reported by Belarusian state-owned media about an alleged attempt by people with weapons in an SUV to break through the Ukrainian-Belarusian border on March 20, 2017 was also seriously questioned. The Ukrainian border control did not confirm this information and Belarusian officials never revealed any further details, including the names of the detainees or any other details pertinent to the case. Additional details: In New Zealand, the terrorist attack was targeted at Muslims, specifically on religious grounds. There is a tradition in the West that if an immoral event is committed by a non-Muslim, it is merely a crime, but if the same incident is committed by a Muslim, then the whole world is upset and claims Muslims to be terrorists. New Zealand's Prime Minister, Jacinda Ardern,'met with members of the Muslim community affected by the attack' and stated, 'He [the killer] is a terrorist; he is a criminal; he is an extremist. But he will, when I speak, be nameless' as a method of not giving fame and respect to the attacker. Instead she focussed on the victims and their families, showing solidarity and empathy. The New Zealand Department of Internal Affairs released a message that said 'people who share video of the mosque shooting online “are likely to be committing an offence”' and worked hard with 'social media platforms to remove the clips' in order to show respect to the victims and their families. The majority of major Western media companies followed this request and did not show the footage from the massacre. However, a Russian state TV channel broadcast the footage and compared the shooter to 'Ukrainian nationalists'. There are numerous articles from major Western media depicting the incident as a terrorist attack whilst people across the world are upset and express their condolences. The day after the attack, the BBC published an article entitled 'How young people are responding to the New Zealand terror attack' whilst the Wall Street Journal explicitly stated that the 'New Zealand mosque shootings called a Terrorist Attack'. See video on how Russian state TV exploits the terror attack in New Zealand to spread disinformation.